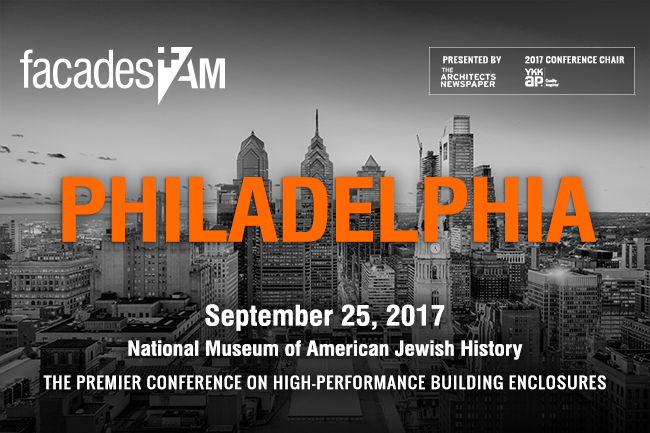 Architect’s Newspaper is excited to bring Facades+ to Philadelphia for the first time this September. The morning forum includes three sessions covering issues unique to the region, including innovative building skins, high performance facades, and the future face of Philadelphia. These expert dialogues will inform and inspire. The Facades+ conference series is a robust dialogue encompassing all things building skin—bridging the profession, industry, academia, operations, and ownership. It’s a unique opportunity to connect one-on-one and network with fellow building skin pros.